We stumbled on this old covered bridge on the back roads of North Carolina this weekend. As my husband and I were driving home from a weekend in the mountains after celebrating our 28th wedding anniversary in Black Mountain, North Carolina we chatted as we drove and I shared with my husband a few of my thoughts or rambles as I call them. I shared with my husband the happiest times of my life, and the not so happy times as well and one of the things that the happy times have a correlation to specifically my connection with other people. We really are here on this planet to connect to others and follow our passions and if the money comes that’s great too because then we can do more to help others that we are on this planet and we all know that is something we should all take part in. The quote below is one of my all time favorites so I hope it resonates with you as you read this post! This obviously isn’t your formula; I guess it could be but I feel we all have to find our own formula that works for us but I hope you appreciate my perspective! My husband and I have people come over to our homestead to learn about beekeeping at our house and we have homestead open houses and we do all of this so that others can learn from us, what we do well, and what we have failed at. 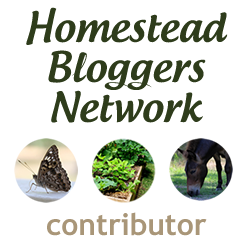 Homesteading is actually a pursuit that is best shared with others and this includes other topics above and beyond homesteading. I know I haven’t posted in a bit and I think this soulful post is coming from my time spent in the mountains and I realized that I felt recharged after a weekend spent listening to music. I guess listening to music may very well be one of the most soul re-generating activities ever! This year I have set aside time to be more mindful. Here is my list that has helped me pull through some tough times. You don’t have to explain yourself to others! Look for visitors like little finches, dragonflies, lady bugs….I always think of these friends as little gifts maybe someone is trying to encourage you. After my Dad passed I kept seeing bluebirds, and when my Granddad died I kept seeing butterflies. The summer my paternal Grandma passed their were dragonflies everywhere. It could be an unexpected quote that just touches your heart-strings! I look around and I see that I live truly an abundant life. We have a garden going at all times, and the bees fly in and out of the hives during the day, in the evening the bats and the dragonflies come out around the time the chickens go in to roost for the evening. Do my musings resonate with you where you are at in your journey? If so I would love to hear practices that you have put into place for simple living, mindfulness, and enjoying all the little gifts as I call them. I totally loved this post and how grateful you are for everything. I think mindfulness and gratitude are so important. So glad I found your blog! Angie thank you so much for sharing! Sorry I just saw this…it is an extremely time at my work. I appreciate that you took the time to stop by and share your thoughts with me! Don’t know how I missed this post. It somehow went to another file. This is food for thought. Thank you for sharing. A simple, gratifying life is the best of all. I believe I’m going to have to agree with Laura Ingalls Wilder on this one. Blessing to you always. Thank you for sharing! So appreciate you stopping in!